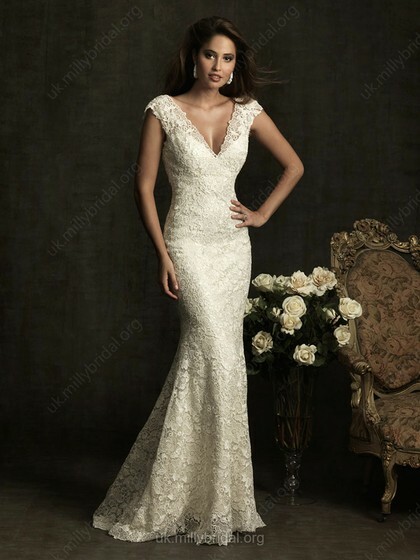 cheap dresses for your wedding day - Be Glossy In and Out! Your wedding day is approaching and you want everything to look perfect and you to be the most beautiful woman. You want the perfect wedding dress but you do not have a big budget .Do not let that most important day of your life to not be perfect, a beautiful wedding dress will definitely make the difference. No, you do not have to be pay much money to be nice and look good. If you want to save some money from your wedding budget Millybridal is a good choice for you. 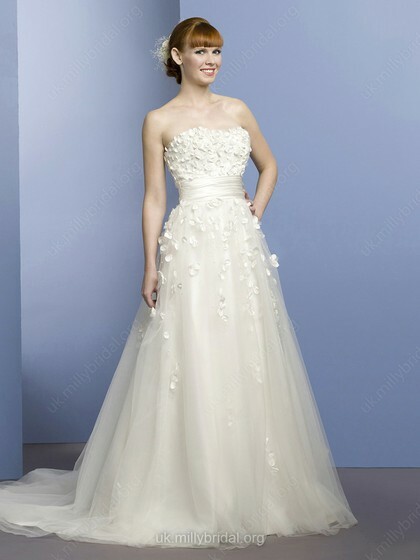 They offer a large range of cheap wedding dresses with discounts in stable quality. Whether you want a short wedding dress or a long one you will find the most interesting combinations of materials, lace, tulle, organza and the most spectacular applications. Short dress wedding has become increasingly present on the catwalks of fashion presentations,more brides want to wear such a dress on their wedding day. A sleeveless fishtail wedding dress made of several layers of tulle, with embroidery is a glam model, perfect for an elegant wedding. If you want a romantic dress choose one decorated with floral 3D applications. No matter which one you choose just make sure you picked the one which gives confidence and make you feel unique.